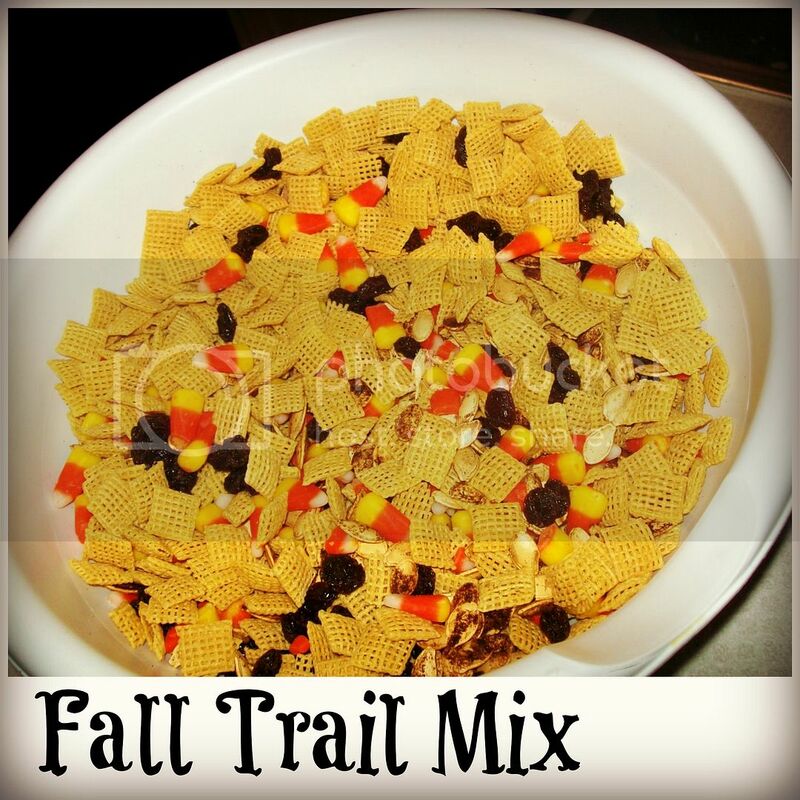 Here is a simple recipe for a Fall Trail Mix. My children and I love this recipe. We actually made this for the first time last year and my littles remembered it. They got so excited when I told them we were making it again. I hope you have some time to make this one with your littles this week. I promise you will not be sorry. We love trail mixes. This one sounds good. And I think I have it all. Our favorite is Monster Trail Mix. I got the idea from Target....they sell it, but I make a bigger bag and it is much cheaper. Raisins, M&Ms, peanuts, peanut butter chips and chocolate chips. It can be too much chocolate for the boys so I take the chocolate chips out. And limit the M&Ms and PB chips. I think the Chec cereal would be good in it too. Thanks for sharing your Fall snack.